Recent high throughput sequencing technologies are capable of generating a huge amount of data for bacterial genome sequencing projects. Although current sequence assemblers successfully merge the overlapping reads, often several contigs remain which cannot be assembled any further. It is still costly and time consuming to close all the gaps in order to acquire the whole genomic sequence. 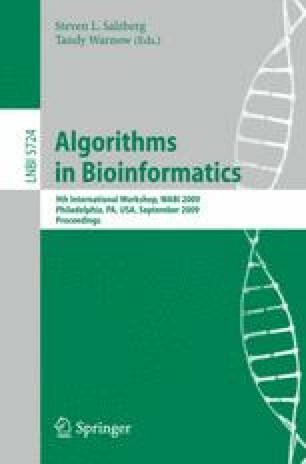 Here we propose an algorithm that takes several related genomes and their phylogenetic relationships into account to create a contig adjacency graph. From this a layout graph can be computed which indicates putative adjacencies of the contigs in order to aid biologists in finishing the complete genomic sequence.